One Flower at a Time! It may be cold, but the sun is shining (!) and we are all basking in it!! …and more flowers and leaves. So here is the vase full of flowers! Time to start the Album that will fill that empty space! What is it about hand-quilting that is so darn relaxing? I am making pretty steady progress on Sue Garman’s “Bouquets For A New Day”. 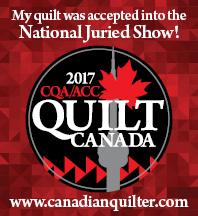 When I sit down to quilt, I am always surprised at how quickly time (and stress!) seem to slip away. And here is a close-up. I am using a Frixion pen to mark the cross-hatching. There was a bit of a discussion in my Sunday Afternoon Applique Group regarding these pens. I am always careful to test the marker on a scrap of fabric before marking the quilt top. When my block is finished, I like to give it a warm bath to remove all residue left from the glue, starch and marking pens. Even though I pre-wash all (and I do mean all!) of my fabric in Synthrapol, my heart still skips a beat when I do this! First, I scan the patterns and then “reflect” them. Then I print the patterns directly on to freezer paper. When a pattern has lots of layers and pieces, I usually print two or three copies. Here is the original pattern. And here are the freezer paper copies. If you look closely, you will see that they are printed “backwards”. The fabric for this block is already pre-washed and has the usual amount of cat hair on it! !